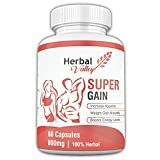 Top 10 Best Weight Gain Supplements in India 2019 - Top 10 In India - Only The Best of everything! LATEST product list, updates regularly! Frankly it is not very easy to decide whether or not you need a weight gainer. There are some people who are thin and remain thin no matter how much they eat. This is because of the way their metabolism functions. If you are very keen to gain mass then yes a weight gainer is a good idea but you should be careful before you start taking a weight gainer on a regular basis. 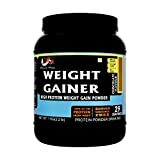 Typically if you eat out regularly, eat very heavy cheesy fat and calories rich food, yet do not gain any weight, then you can consider using a weight gainer. However before you start taking the weight gainer supplement, you should know exactly what the weight gainer contains. Most weight gainers are filled with extra calories and contain large amounts of carbohydrate and fats. 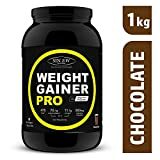 Simply put, the main reason you should use a weight gainer is if you are very thin, or skinny, and you are having trouble gaining weight even though you eat a lot every day. In that case if you have a weight gainer regularly, then the amount of extra calories the weight gainer will give you, will help you to add on the extra mass and weight. 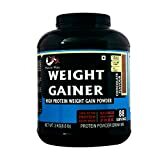 Another point about weight gainers is that if you are already using a protein supplement or a protein powder, then you should stop using it, as the weight gainer already contains enough protein for you. In fact most weight gainers also contain creatine, an important supplement for the body. Another important component of most weight gainers is L-Glutamine, which is an amino acid that helps in muscle growth and increasing muscle mass. A further advantage of L-Glutamine is that it lowers the fatigue level of muscles and also stimulates growth hormones. It acts as an overall booster for your immunity system. All this means that you have a good chance of gaining muscle and not just flabby weight. Your aim is obviously to gain muscle and not just to gain flab. In the case of most weight gainers, they are pumped full with ingredients that result in your gaining a lot of fat. That is because they contain a lot of filler ingredients, that are nothing but sugars and fat producing ingredients. This will cause you to gain flab and become fat instead of becoming healthy and gain more muscle mass. All weight gainers contain the carbohydrates, proteins and calories that you need on a daily basis, but you need to be careful when you use a weight gainer regularly, as your aim to gain weight mostly through muscle and not through flab. Just imagine becoming fat and unhealthy by using weight gainers. That is not a good result, so you need to be very careful in choosing the right weight gainer for yourself. Here are a few options that will give you maximum muscle gain and minimum fat and flab increase. The first one we will can look at, is the Optimum Nutrition Serious Mass Gainer Powder. The good point about this supplement is that it helps you to gain muscle mass and tries to prevent fat gain. This company has worked to choose the ingredients of this weight gainer with a lot of care. This weight gainer contains minimum sugar additives and use less ingredients that cause adding flab to your body. 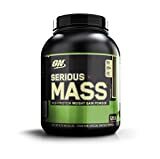 A single scoop of the Optimum Nutrition Serious Mass Gainer Supplement contains about 50 grams of protein and 1250 calories. Another weight gainer we feel is good is the Endura Mass Weight Gainer. This product has been in the Indian market for many years and has helped many thin people gain weight and muscle mass. The right amount of Endura Mass every day will provide you with up to 3480 extra calories per day which adds on to the calories you gain through your regular food intake. Endura Mass Weight Gainer is great for men and women, and it shows results as soon as three to four weeks if the right amount is taken regularly. Endura Mass Weight Gainer is 100% vegetarian and contains high quality ingredients. Men and women can take it regularly, and it provides a great balance of proteins, calories and carbohydrates. It is formulated from a balanced and maximum health benefits mix of high quality soy proteins, carbohydrates, minerals, vitamis and fats.To build more muscle Endura Mass Weight Gainer should be supplemented with regular exercise. The ideal suggested usage is 2-3 teaspoons of the product in a glass of milk or juice twice a day. The third weight gainer we will review, is the HealthKart Weight Gainer. A hundred grams of the HealthKart Weight Gainer will give you 410 calories, 75 grams carbohydrates, 15 grams protein and also a lot of added vitamins and minerals. In fact this weight gainer says that it contains 27 added vitamins and minerals. 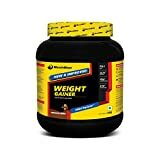 This HealthKart Weight Gainer is good because it contains added essential vitamins and minerals which are needed by the body, and also it aids in digestion because it contains fibre. 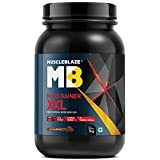 All of this makes it pretty good choice for a weight gainer which should give you good muscle gain and not just added flab. 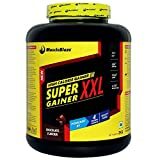 Now go ahead and have a look at the Top 10 Best Selling Weight Gainers in India which are also a great choice for you. Consumers aiming for muscle gain should mix 1 scoop in 180-200 ml water and take 1-2 shakes per day. 30.6 G Protein, 151.8 G Carbs (per 6 servings) and 21 Vitamins & Minerals. Suitable for Men and Women. Best Weight Gainer- It's great in taste along with added vitamins & Minerals and high activity digestive enzymes making it your go to weight gainer!